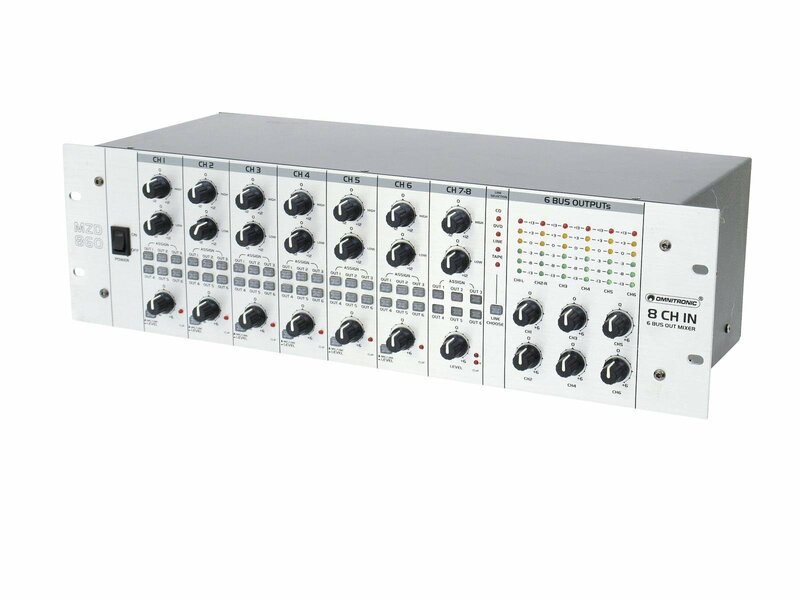 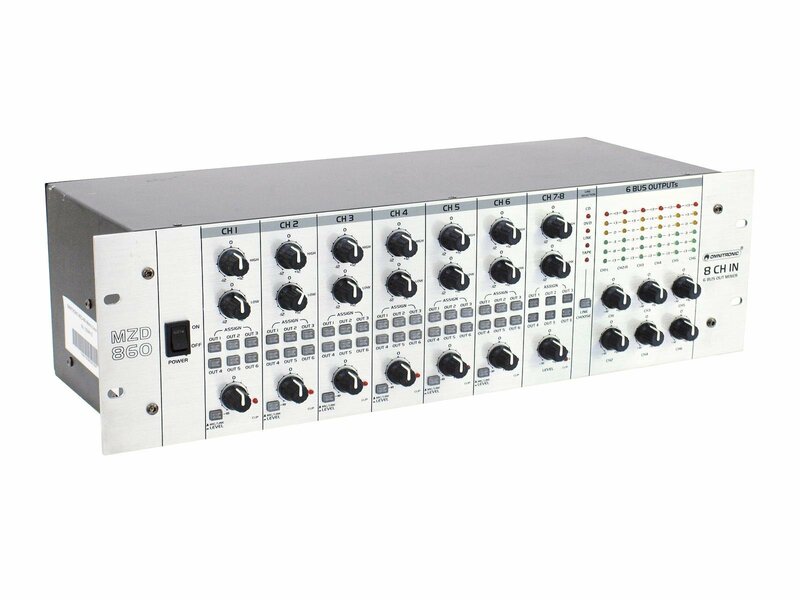 The OMNITRONIC MZD-860 is a matrix zone distributor of 6 inputs for units with line level (e.g. 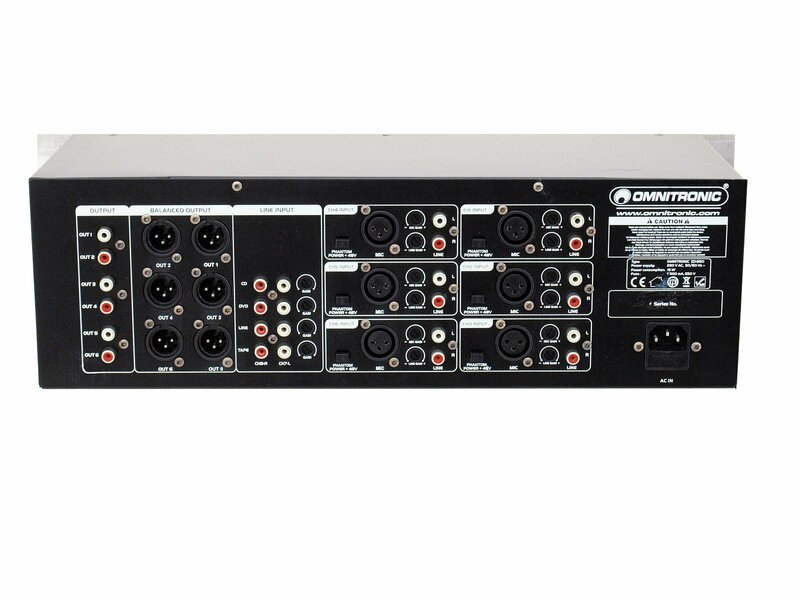 CD player) and microphones (also phantom-powered) which are freely assignable to each of the 6 outputs. A further stereo line channel connects four units with line level and allows for free assignment. 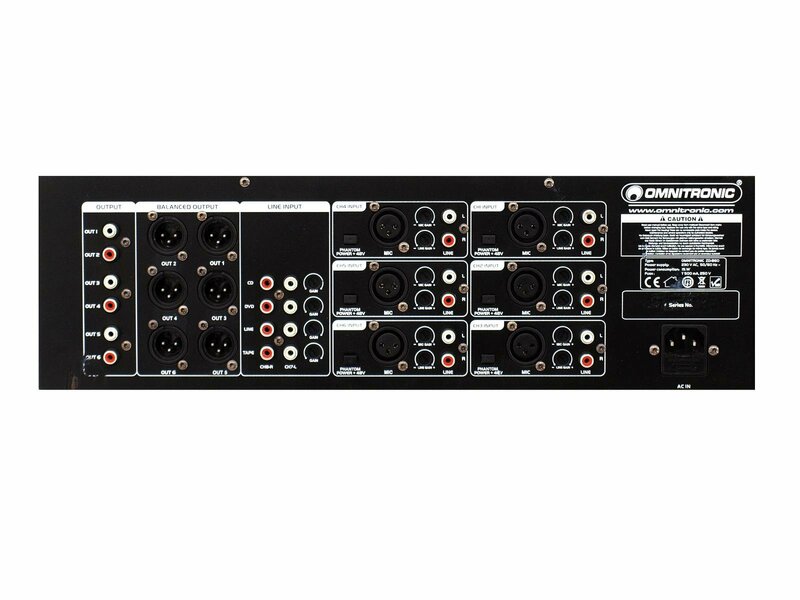 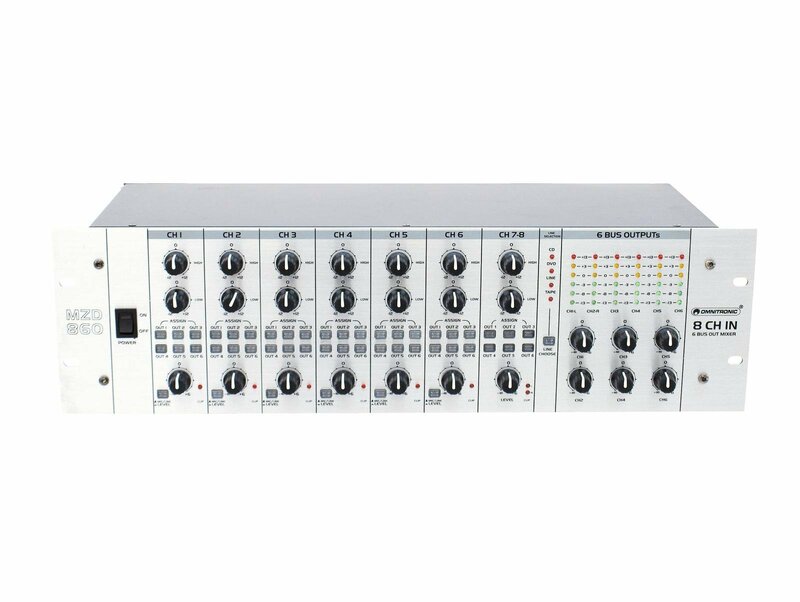 Thus it's possible to supply 6 different PA zones with a mono output by routing different input signals to these zones without having to change the cable configuration. 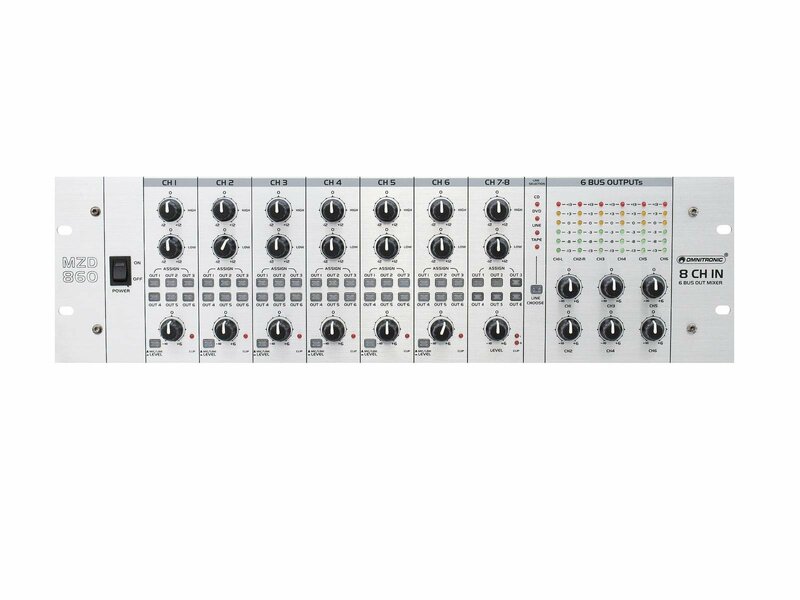 It's also possible to obtain 6 outputs with different mixing as every input has its own level control.